With Spring Training Nearing it’s end it’s time to take a look at each teams studs and duds from Spring Training. The Blue Jays roster is pretty much set in stone but a few players have stood up to make arguments to make the big league club and take over a position as a full time starter. Infielder Andy Burns has an impressive spring training batting .333 with five RBI’s one home run, and seven hits in 21 at bats. With AL MVP Josh Donaldson at the hot corner the only way Burns doesn’t head to triple A is making the club as a backup second basemen but with Ryan Goins and Devon Travis set to return Burns despite his great camp he is likely AAA bound. Ambidextrous pitcher Pat Venditte has also had a great camp pitching to a perfect ERA making an argument to claim one of the team’s final bullpen spots. As for First Basemen Justin Smoak he has had a hot camp batting .321 with two long balls out playing the team’s second first basemen Chris Colabello this may just get Smoak some more starts once the regular season begins. New Blue Jay Jesse Chavez was hoping to claim a spot in the rotation rather than the bullpen yet his spring training would make you think he will be heading to the bullpen. In four appearances his ERA is 4.50 not a great spring for Chavez. Ezequiel Carrera is an extremely talented defensive player, and base runner but was hoping to improve his offense this spring. He simply hasn’t done that with just two hits in 11 at bats. Starting catcher and big money player Russell Martin has also had a rough go of it in camp Martin is batting just .200 in 25 spring training at bats. The Yankees have to be very pleased with the addition of Starlin Castro from what they have seen in spring training Castro is batting .444 so far this spring with 12 hits in 27 at bats, including two home runs, and 9 RBI’s. Dustin Ackley has also had a very strong camp batting .290 with 9 hits in 31 at bats proving trading for him at least season’s trade deadline was a very smart move by Yankees General Manager Brian Cashman. Chasen Shreve who was a lockdown reliever from April-August for the Yankees but then fell apart in September has also had a great spring training as he has yet to allow a run in 6.1 innings of relief work. Jacob Lindgren once nicknamed strikeout factory had a very brief major league stint a year ago, however with the way he threw the ball at major league camp he may be in for a full year in the minors pitching to a 15.43 ERA in 2.1 innings of work. CC Sabathia has also had a rough camp. CC once a CY Young Pitcher and Yankees ace is battling for a spot in the starting rotation so far he has struggled in three starts pitching to a 7.36 ERA. Slade Heathcott who hit a late September game winning pinch hit home run that helped the Yankees take down the Rays and win a critical game that at the time kept them in the AL East race had just one hit in 22 spring training at bat’s which will take him out of play for making the big league squad. Craig Kimbrel has had an excellent first camp as a Boston Red Sox. In 4.0 innings of work Kimbrel has yet to allow a run proving that the struggles he had in San Diego a year ago was probably just a down year as when on his game he is one of the sports best relievers. Travis Shaw who came up and showed power for the Sox last season has had a monster spring batting .450 with 18 hits in 40 at bats, and nine RBI’s. Shaw will likely see significant playing time due to David Ortiz’s age and Hanley Ramirez’s never ending health questions and defense struggles. Sam Travis 2014 second rounder and also a first baseman has also had a monster spring. Travis has batted .536 this spring with 15 hits in 28 at bats driving in 13 runs making his case for an MLB roster spot at some point in time during the 2016 season. The Red Sox bullpen and starting rotation may be in trouble due to these duds yet only one of these listed duds in performance related. That being veteran reliever Koji Uehara. Uehara’s spring has been awful giving up five runs in just 1.2 innings of work a bad sign for the Red Sox back-end of the bullpen. As for Carson Smith and E-Rod (Eduardo Rodriguez) they both are disabled list bound due to injuries that may keep them both out for significant time which will really hurt the Red Sox pitching staff. For starters Matt Moore, and Drew Smyly Spring Training has been very kind. Both have excelled throwing gem after gem which has to have Rays fans excited as their rotation is looking scary good heading into 2015. Journeyman outfielder Jaff Decker has also had a great camp for Tampa Bay batting .417 making a case to fill a bench spot for the Rays major league roster. Steven Souza JR had a rough first year in Tampa and is having a very weak spring which could force the Rays to send him to the minors to work on his game somewhere. Souza has just three hits in 20 at-bats this spring. As for pitchers Jhan Marinez and Xavier Cedeno both have been given the ball plenty of times by skipper Kevin Cash but can’t keep to get anybody out which could weaken the Rays bullpen. What a spring it’s been for Joey Rickard a rule five pick Rickard has had quite the spring for the Orioles and and may have a chance to grab a roster spot due to his hot spring. Ryan Flaherty has also had an impressive spring batting .364 proving he may end up being a key bat and glove for the O’s in 2016. As for pitcher Oliver Drake the Navy Shipman it’s been an outstanding spring in 7 innings Drake has not allowed a run which gives the ex troop a chance to make the big league squad. Saying Miguel Gonzalez a key part to the Orioles starting rotation has had a miserable spring is a huge understatement. In four starts he has pitched to a 14.90 ERA which could be very problematic if he brings that to Baltimore come the Regular Season. Odrisamer Despaigne a possible rotation option has also had a rough spring. The new Oriole has struggled big time in 11.1 innings of work his ERA is sky high at 7.50, and what may be most concerning is he only has two strikeouts in all that work which means he doesn’t have a pitch to make people miss. Hyun Soo Kim an offseason addition from Korea has struggled greatly this spring with just eight hits in 40 trips to the plate. 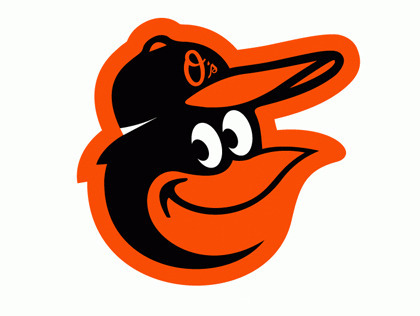 In order for the Orioles to have success this season they must have Kim play a big role and if his spring is anything to show for what he’ll be in the regular season the O’s are in trouble. Posted in Baltimore Orioles, Boston Red Sox, MLB, New York Yankees, Tampa Bay Rays, Toronto Blue Jays. Exactly what are some guidelines for creating an essay outline? Custom Writing Service – Is it a Scam?